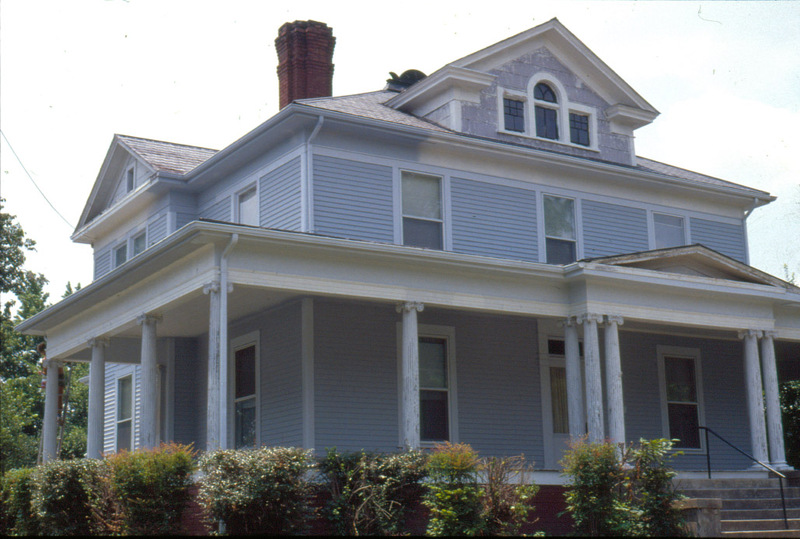 This large, two story frame house, decorated with Neoclassical Revival features of Ionic columns on the wraparound porch, pedi- mented gabled wings, and a Palladian window in the front attic dormer, was built for the Phipps family early in this century. The house was sold around 1920 to John Moore, who later sold a portion of the property as two adjacent lots to the east. Subsequent owners include W.W. Weaver, who purchased the Durham Sun in the 1910s, and a Mr. Tilley, who renovated the house prior to 1975. This home has been vacant for about two or more years now, having been a poorly run group home in past years. I was a docent at the Old Durham Home Tour in 2006 for the house next door and we all got to witness young men fighting on the lawn of this house. Nice. This home belong to my grandparents, William E. Tilley Sr and Blanche Lipscombe Tilley until they died 1971 & 1972. Then my Dad, Donald L Tilley sold the property. I know they lived there for many years...I think back into the 1940's. The house was beautiful, with many marble fireplaces, crystal door knobs, high ceilings, tons of furniture on the wrap around porch and many rooms. There was a huge grapevine in the back that you could sit under to keep cool. 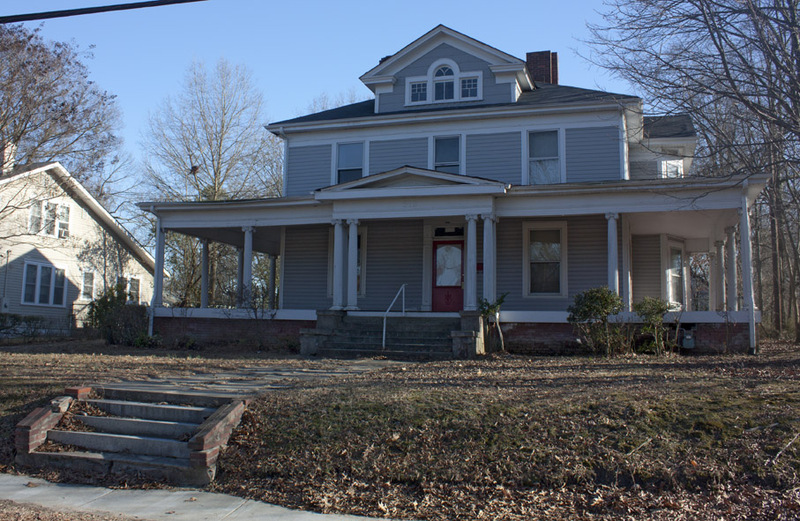 Ma & Pa rented out 4 rooms upstairs to the Rice House (Mangum St) patients who were in Durham trying to loose weight. Mr Copley lived across the street, he ran a store at Roxboro and Trinity. Mr and Mrs Byrd lived next door, he ran Stone Bros and Byrd Feed Store beside the FIRST Durham Bulls Ball Park. There are many happy memories there. This large, two story frame house, decorated with Neoclassical Revival features of Ionic columns on the wraparound porch, pedi- mented gabled wings, and a Palladian window in the front attic dormer, was built for the Phipps family early in this century. The house was sold around 1920 to John Moore, who later sold a portion of the property as two adjacent lots to the east. Subsequent owners include W.W. Weaver, who purchased the Durham Sun in the 1910s, and a Mr. Tilley, who renovated the house prior to 1975. The interior features handsome mantelpieces with rich neoclassical overmantels. This home belong to my grandparents, William E.